See listed. 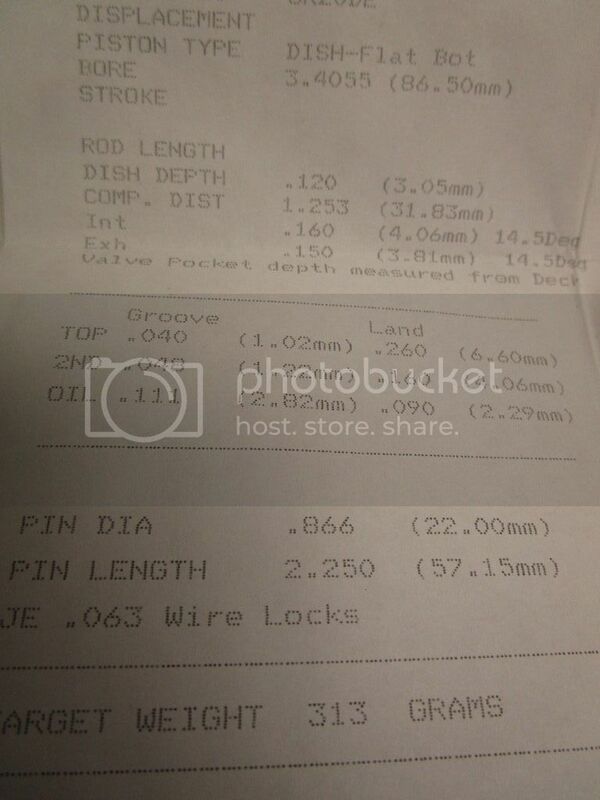 .827 x 2.250 straight wall carbon steel wrist pin provided. - Drill/tap/install plug in rear oil drain port (S13 block). - Either BC or Supertech with standard retainers. 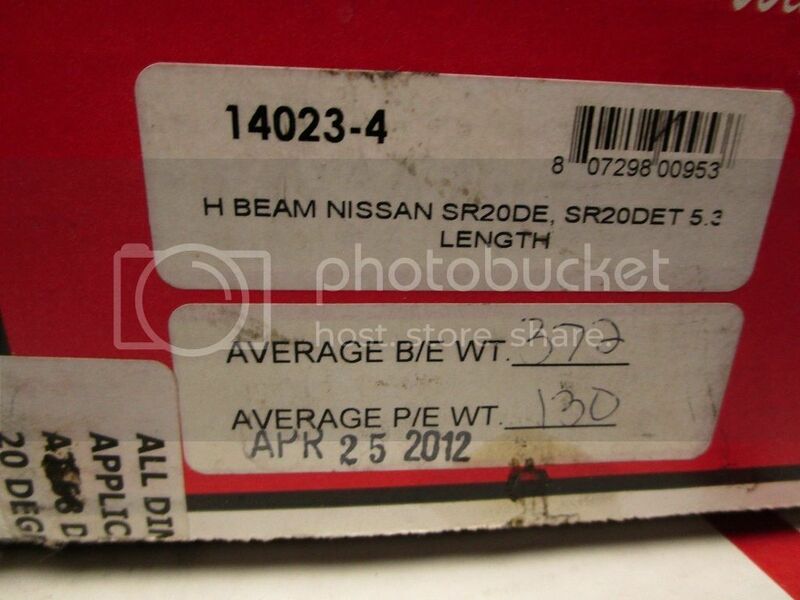 Anyone have the part number for either?? 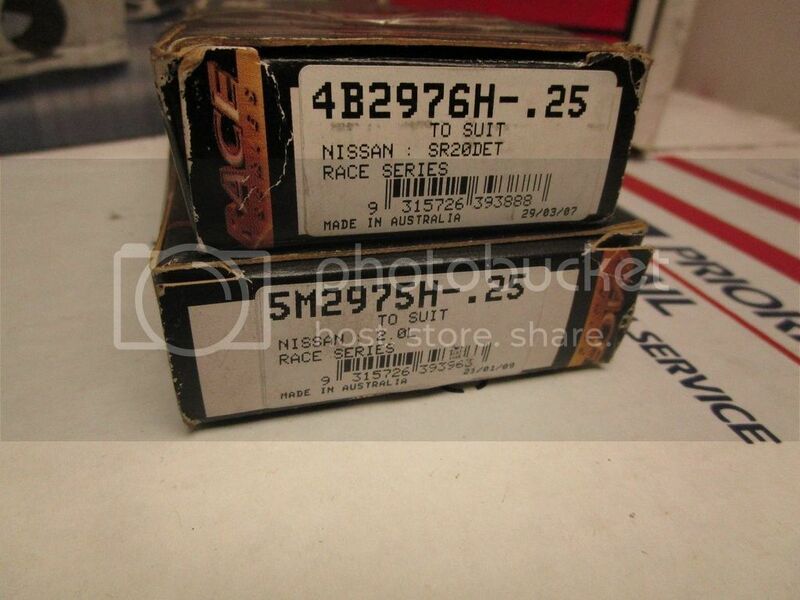 This is for a P11 Sr20VE, so dual valve springs. Need the 93lb pressure option. - New valve seals while in there. Mazworx has them for $1.00 per. - Do I need to mess with the valve guides? I would think not. - Keeping them standard. Although, the standard exhaust valves are not sodium filled. Any option for the upgrade?? Should I even bother?? - Drill/tap port where one of the heater lines bolt up for oil supply. - Use P12 single solenoid (using Taarks single solenoid block). Anything else I am missing?? Check the guides for wear, they do tend to wear, especially on exhaust. A new OEM chain tensioner is plenty. Fine tooth redesign. You'll need to flip the intake manifold. You can only cut and flip the lower runners, upper ones are offset and won't line up when flipped (ask me how I know). And VE water outlet on head won't work. I believe it hits the thermostat on a DET block. I made one, and it's not a bad idea to choke down the coolant bypass to the tstat, I went to 3/8". It helps with cooling by not having a huge 5/8" bypass all the time. It's not that hard to find a new tdc measurement on the crank pulley and mark it. You also need to machine 5 mm off the back of the pulley. Are you using a P12 CAS? Honestly I don't know how you can install an engine with that in and not best it to hell. And I don't think you can install it or remove it with the engine in. Btw, I wouldn't use that M8 hole for oil supply, it'll be pretty choked down, and there's quite a bit of flow needed on the high cams since the rockers all have piling holes. I'm using an industrial solenoid from valves4projects (there is an eBay store) and feed it into the head via a Mazworx relocation plate. It's not the only way to do it, but it is an option rather than using high priced oem solenoids that are big as hell and hard to seal up to the relocation plates. 7) I am going to use P12 solenoid. However, the 5535 guys who built the land speed SR15VET used that same galley for oil feed so I am sure it is not an issue. Either way, I have a Tomei oil block I can use to provide oil presure. 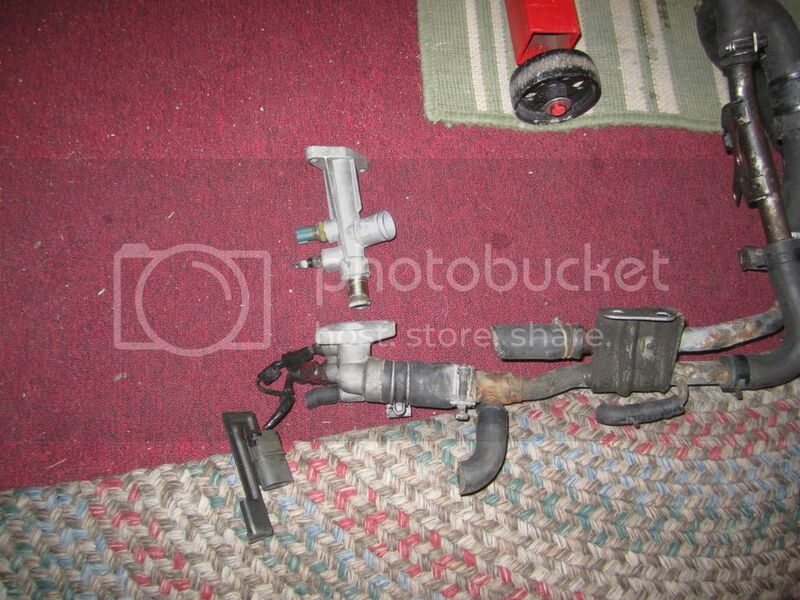 Do you have a picture of your solenoid setup?? BTW does anyone have a translated P11 or P12 FSM?? Once the spring is out, if there is play in the guide, it's trash. I think you can use that as a go-no go gauge. I'm pretty busy these days, but if you can't find anybody local to cut and weld, I will help ya out. Let me know. But don't expect F1 level welding!!! Check out my latest build thread, I put a ton of pics of what I did along the way. P.S. on that note: is there machining involved in replacing the new guides or are they pressed in?? The guide holes might need to be reamed. Honestly, tell the machine shop what you want and let them do it. Don't dictate details like remove guides before hot tanking etc. a good shop will know what to do. Took it all apart and the guides seem to have zero play. 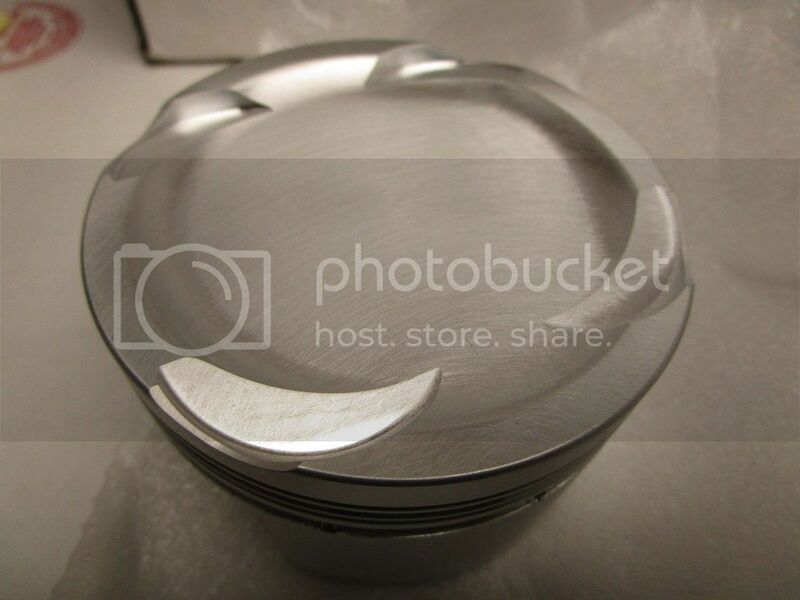 Is there a full gasket kit out there sans crappy teflon (or whatever) HG?? Profit! Not too many tedious items, just a time sink. If I can have 2 or 3 solid days, I think I will be 98% there! That's good! Buddy of mine (brock) is doing a DET (with my old cylinder head) in his Z32. I sold him my head when I decided to go VE. Bought my VE head from another friend of mine (Juan) who was originally doing a VE in a Z32 as well. What mounts did you go with for the swap? Looks like you don't have much left to do. Juan said the SR transforms the Z32 into a car that is pretty capable. He ran his S14DET in it for awhile before grenading the engine and going the VET route. Yeah, I'm not a fan of those mounts either! I'm helping Brock move his Z tomorrow evening (downside of having a car trailer, everyone asks for help, ha ha! All good though, he is a good dude). So funny how small this scene has become in the past 8 or so years, everyone knows everyone.